The parish council is pleased to announce that ultrafast fibre broadband has now arrived for many properties around Old Pound Close, Spy Close and Middle Road. This is thanks to Superfast Dorset, a local government programme in partnership with Openreach. Superfast Dorset started in July 2012 and has since delivered superfast fibre broadband connections to 96% of homes and businesses across the county, mainly via green cabinets. 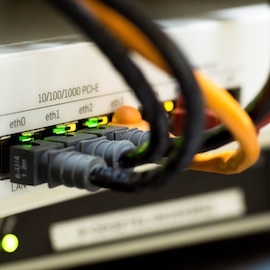 Fibre broadband is not just faster than the old copper wires but also more reliable and consistent, avoiding frustration to members of your home. Not only does this latest availability bypass copper lines, it provides fibre directly to the premises (FTTP). This provides the very best speeds in the country. Although this only covers one area of the parish, most properties can at least get fibre to the cabinet, providing superfast speeds. There is still building work to be done towards the west of the parish, for everyone to have access to fibre broadband. Although it is not available for everybody now, the project has plans to grow in the next 12 months. The upgrade is not automatic. If you are interested in upgrading to FTTP and live in the area, you must talk to your provider about making the switch. However, this is a good opportunity to shop around for the best deals for you, saving you money in the long run. A fibre broadband connection can change your personal and professional life; from being able to work remotely from home, downloading your favourite television and movies quickly, or just being able to use multiple devices at once. The parish council is also working with Wessex Internet to get FTTP to many other properties to the west and north of Lytchett Matravers in the next few months, and will be working with Superfast Dorset on options for superfast solutions for other properties around the village.